← WHat ARe yOUr 18 THiNGs? Blogfest (kinda) Signup! Not just for bloggers anymore! So . 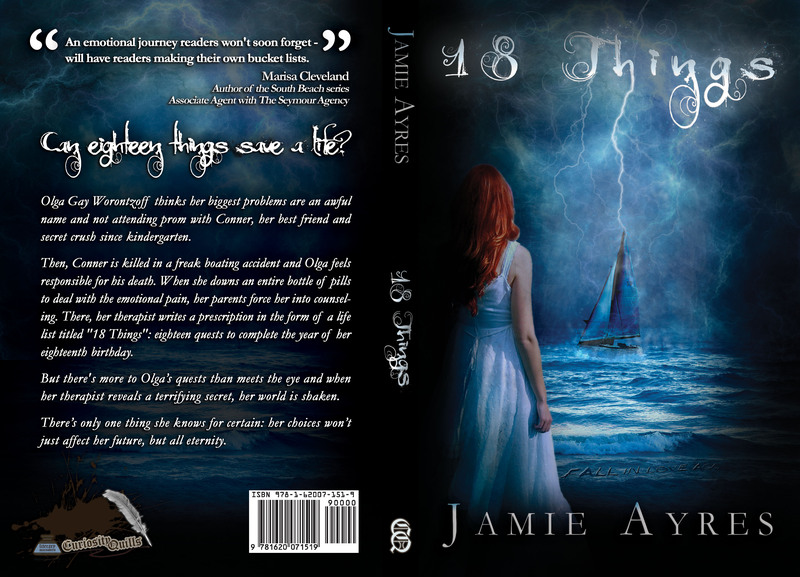 . . Amazon Kindle links are live to purchase 18 Things! And for print! Or for your Nook. Yay–Happy Book Birthday to me:-) Thanks for your support! I also did a guest post on my editor’s blog today! Even if you’re not buying, please hit the “Like” button under the title on Amazon to give it a boost! You can also add it to your Goodreads. Purchased! Congrats on the release! Jamie, that’s awesome! Will download tonight. And give you a big shout-out tomorrow. Enjoy your big day! Congratulations, Jamie! *hugs* I will tweet! Thanks:-) I’m such a dork! I forgot to sign up for the tweet deck for my Twitter Release Party #cqpress put on for me tonight, and I was scrambling to keep up! CONGRATULATIONS!!! I tweeted once and and have several more scheduled over the next 4 days. Happy book birthday, Jamie! Snagged me a Kindle copy and tweeted about it. Thanks . . . it got to #45 for Coming of Age–I’m very happy with being in the top 50:-) Hopefully people enjoy it and keep spreading the word, especially to the teens in their lives! Oh, and I gave you a tweet-out today! Wish you the best of luck! Thanks, David! It’s been a whirlwind! Congrats on your release! Also – that quote from Charlotte’s Web is one of my favorites as well. Oh my gosh . . . I read that book every year and break down in tears at that line every single time. Every time! I’ve seen this around the web, so word is getting out there 🙂 Looks like a great story. Thanks! I’m so fortunate that wonderful peeps have helped me get the word out! Congrats and best of luck with your novel. I need allll the luck I can get!! Honestly, who ever came up with the cover deserves a medal. It’s stunning. Yay, release day! Congrats, Jamie.